Long before milestones were diamond shapes on a project manager’s Gantt chart, they were actual stones marking real miles toward a particular place. But are they really so different? Either way, the journey is dusty, the destination shines and it’s the quality of the steps along the way that matter most. Milestone is a full-service construction management & general contracting company established in 2010 to bring an owner’s perspective to the business of building. We adapt our services to suit your needs and want nothing more than to earn your trust through our commitment to realizing an outstanding process and project. Our secret is no secret: it’s a combination of close collaboration, open communication, deep field knowledge and a project-first mentality that makes Milestone your go-to partner. Problem-solving lies at the heart of every construction project, and like all good optimists, we like to see problems as possibilities. What can we accomplish in a single week construction window? Which method is ideal for restoring historic features? What will it take to achieve zero-waste? What are the best opportunities for saving time or money? These are the kinds of challenges our seasoned experts love to untangle and align to deliver the highest quality buildings and building experiences. We’re your eyes and ears on site, in the office and everywhere in between. Our mission is to provide the highest quality program, project and construction management services to both public and private sector clients to help them achieve the goals of their construction program in an ethical, creative and cost-effective manner. 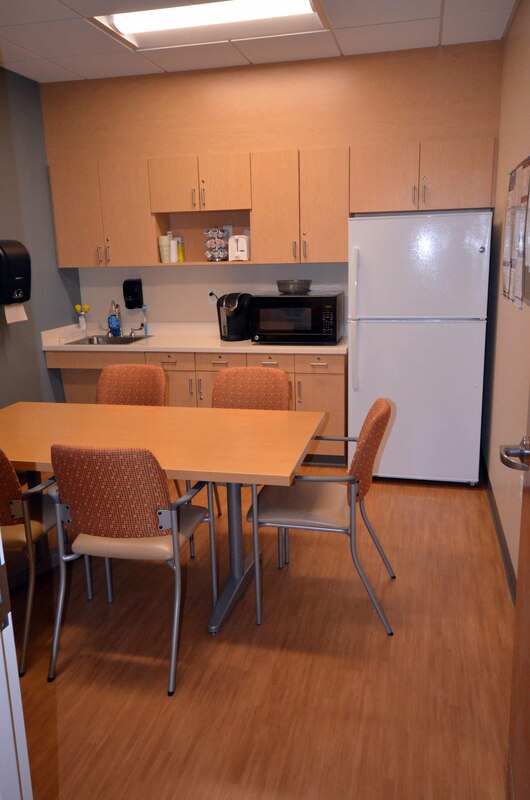 Milestone staff presents a perfect blend of professionalism and dependability that the end users and Yale Facilities Project Management have come to expect and deserve. Milestone is a true partner to our team. It has been a pleasure to work with Milestone on our commercial development. They did an excellent job and brought the project in on-time and on-budget. They have been professional and honest in all our business dealings. We are very pleased with our beautiful and well-constructed building and we hope to work together soon on our next upcoming project. Working with Milestone was the most painless construction process I’d been associated with. The job was finished early and right on budget. Milestone has a commitment to quality construction, communication with the entire project team, a clear understanding of the importance of project schedule and a proactive approach to dealing with project challenges. We would highly recommend them for your next construction project. 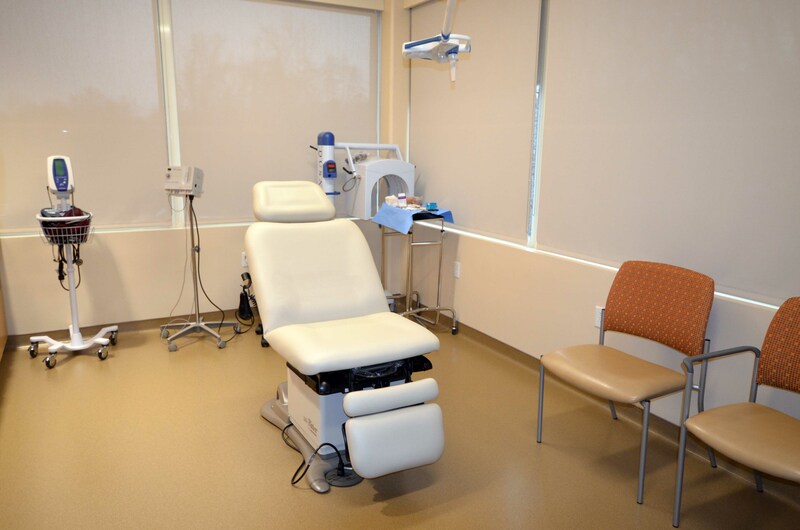 I am writing to thank you and your team on a successful project at Middlebury Dermatology. [Milestone] was very thorough and thoughtful to the needs of the construction project and Yale’s standards. The schedule was always a main priority which is appreciated. It was a great experience with no headaches. We hope to work with Milestone in the near future. If your project involves working in an existing, occupied building, I cannot think of a better candidate. 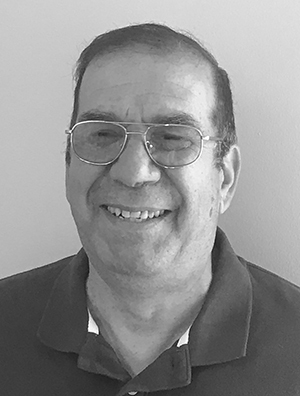 Frank is a hands-on leader with more than 30 years of experience in construction and operations – His expertise encompasses all facets of construction including cost estimating and management, design analysis and recommendations, material purchasing, coordination of trades, and building code/regulatory compliance. 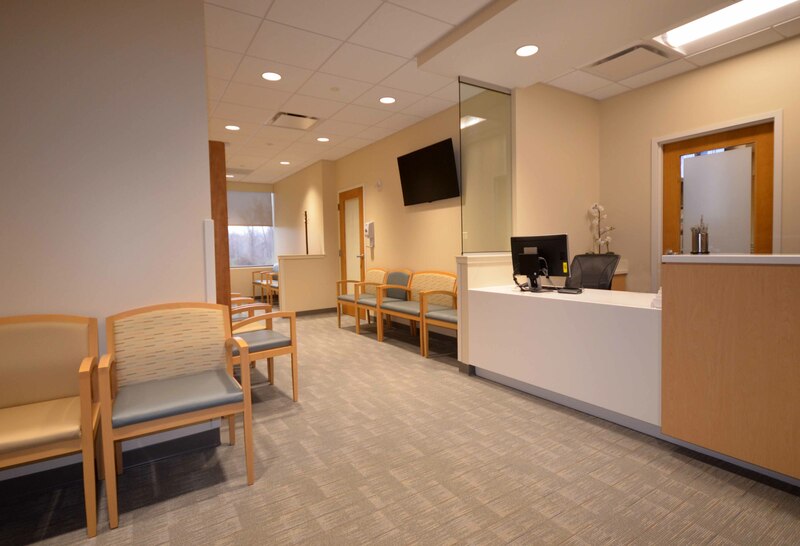 Prior to founding Milestone, Frank worked with Yale University’s Office of Facilities for 15 years overseeing a wide range of new construction and renovation work. The “owner’s perspective” he gained during that time has come to define Milestone’s approach that keeps the client’s best interest at the forefront and prioritizes exceptional service, communication, accountability and integrity. 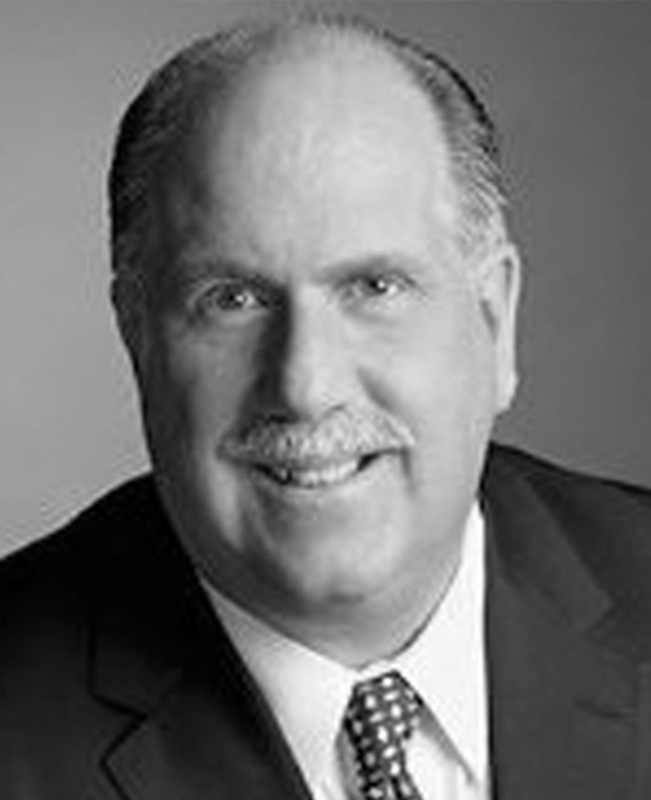 Frank’s leadership has established successful on-going relationships for Milestone, along with an ever-growing and diverse portfolio of projects. As chief estimator, Justin is responsible for projecting and controlling costs for Milestone’s projects. He provides in-depth reviews of drawings and specifications to determine scope of work, pricing and bidding as well as providing value engineering and constructability reviews to control project costs. 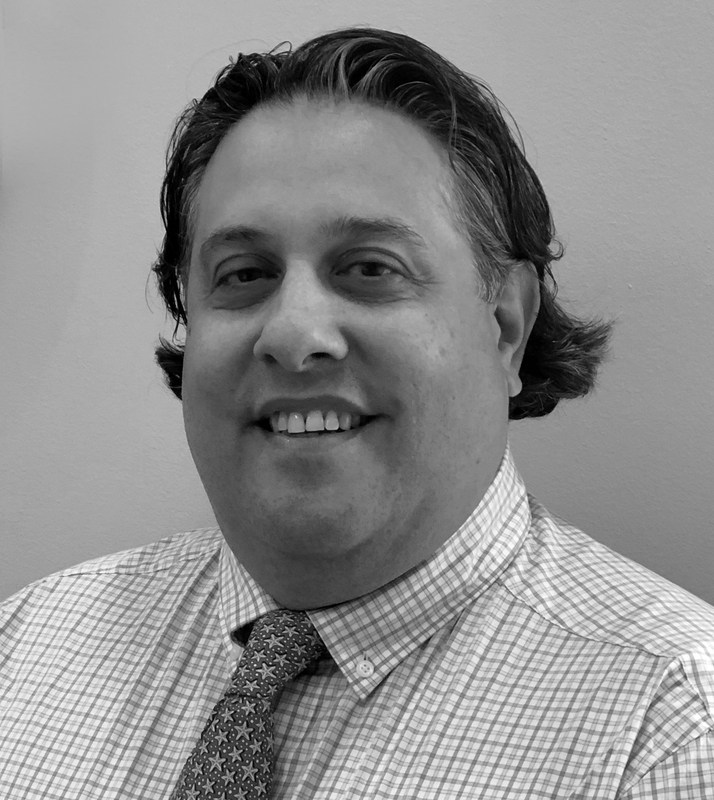 Justin previously served as a senior project manager/project manager for more than 20 years at prior construction firms where he acquired extensive experience and expertise managing projects in mission critical (hospital & laboratory) environments. Justin is a Certified Healthcare Constructor (CHC) through the American Society of Healthcare Engineering. 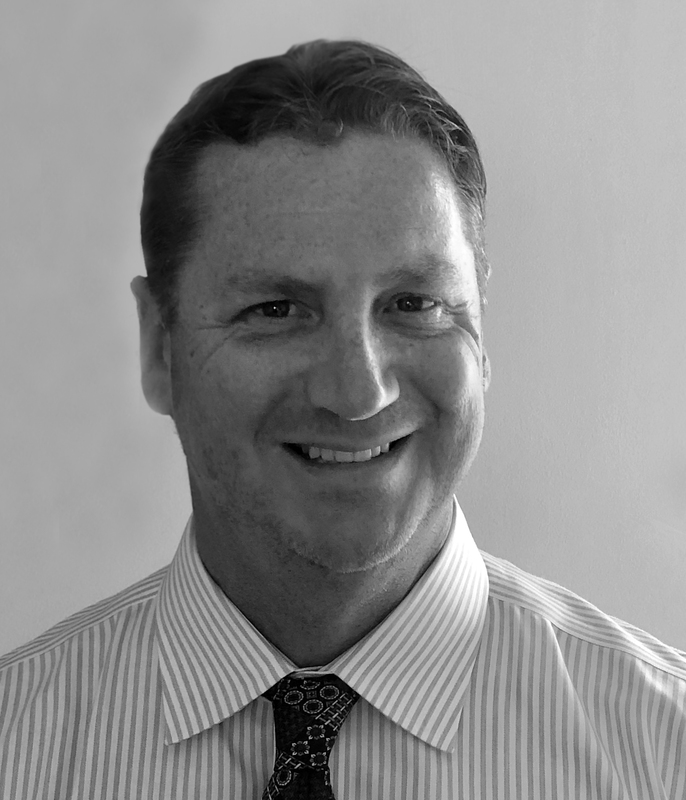 Jeff brings more than 20 years of project management skills to the Milestone team and is responsible for running multiple university and private developer projects at any given time. A proven leader and innovative manager, prior to joining Milestone Jeff was responsible for the oversight and management of several successful and high-profile public school projects. 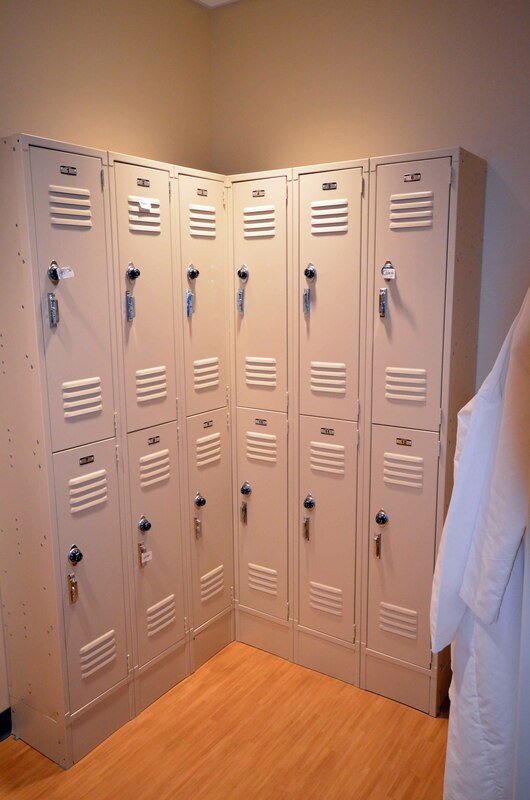 These included a $100 million new school project that earned LEED Gold Certification and several complex renovate-as-new projects that were built to the State of Connecticut High Performance Building Construction Standards for their energy efficiency. Jeff is a Certified LEED Green Associate through the US Green Building Council. Jon oversees all marketing, communications and client development efforts for Milestone. 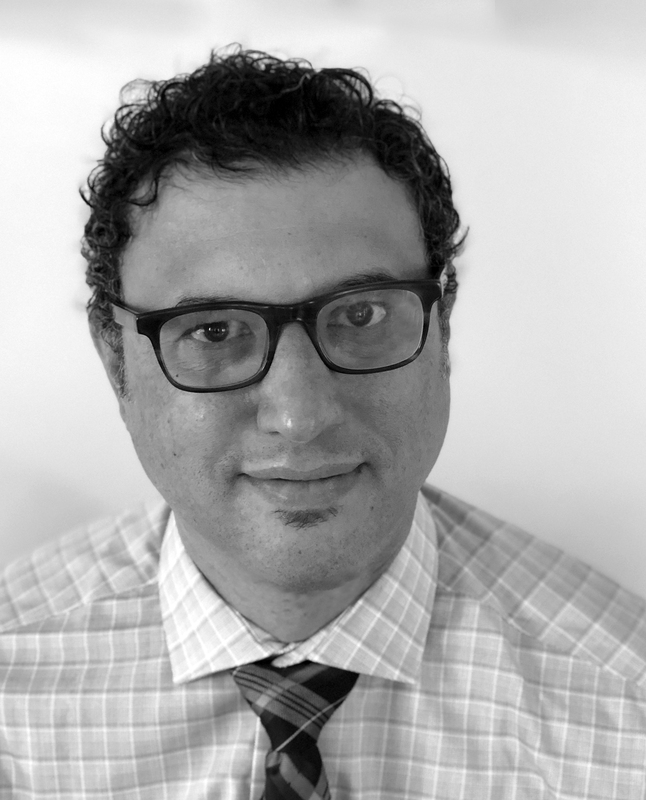 His responsibilities include conveying Milestone’s value and expertise; strategically establishing a presence in defined markets; and serving as a catalyst for the firm’s sustainable growth. A lifelong student and practitioner of the communication arts and sciences, Jon has more than ten years of marketing and client development experience associated with the built environment. As a Project Superintendent, Jim is responsible for the everyday flow of progression on any given project. While ensuring Milestone’s strong work ethic towards quality and a safe working environment, he also maintains focus on key schedule dates and makes sure clients are getting a first class project per plans and specifications. Jim brings more than 40 years of construction management skills to the Milestone team and has successfully overseen medical, educational and industrial projects ranging in construction value from $25 million to over $100 million. Joann manages and is responsible for the overall direction of accounting, payroll, human resources and the financial activities of Milestone’s projects. 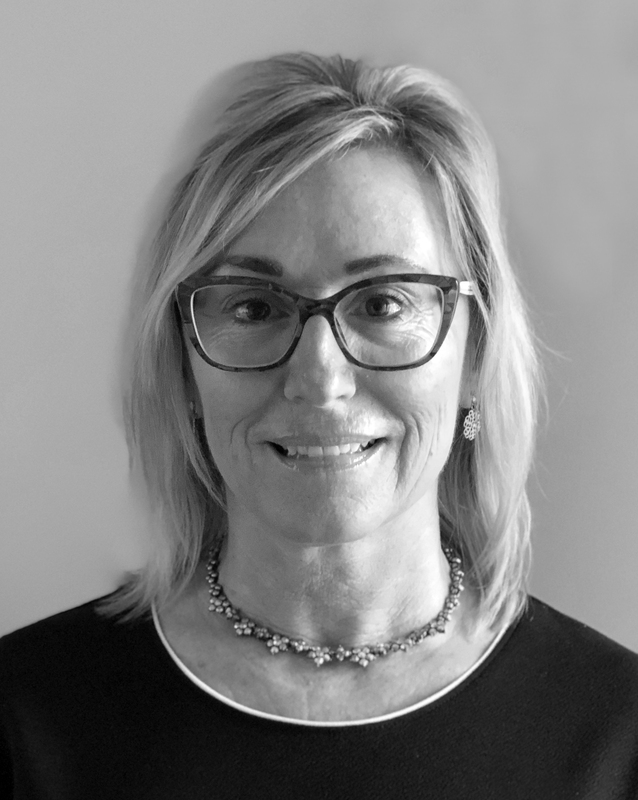 With a wealth of business operations experience and acumen, she has established a successful record of increasing productivity and reducing operating costs at prior organizations. Joann has been instrumental in doing the same for Milestone by implementing processes that have created efficiencies, streamlined operations and set the stage for the company’s strategic development. 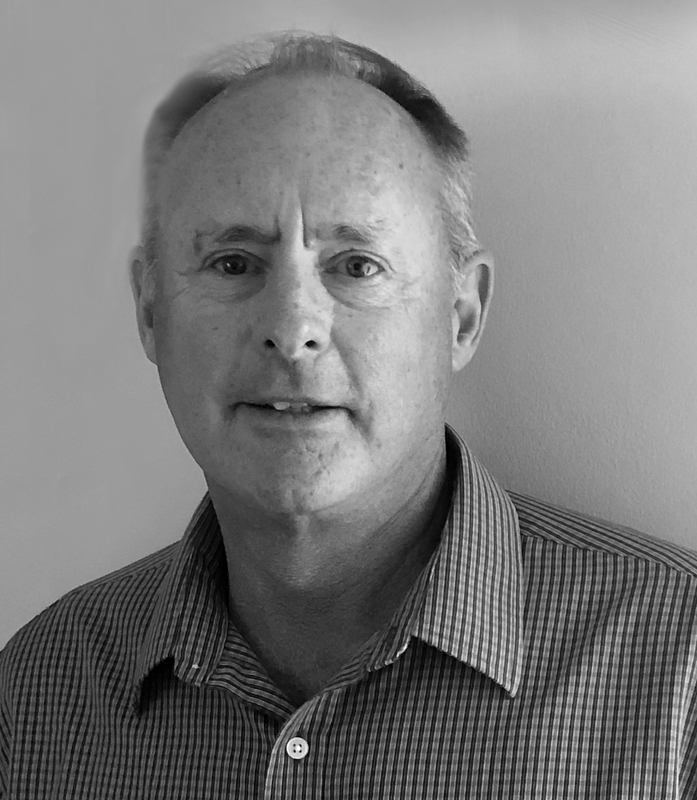 Lou oversees and is responsible for all facets of Milestone’s self-performing project work. He is highly experienced in both commercial and institutional environments, and his expertise covers all aspects of carpentry. Lou brings clear decision making and problem solving to Milestone’s projects in the field while maintaining the highest order of quality control and quality assurance on the jobsite. 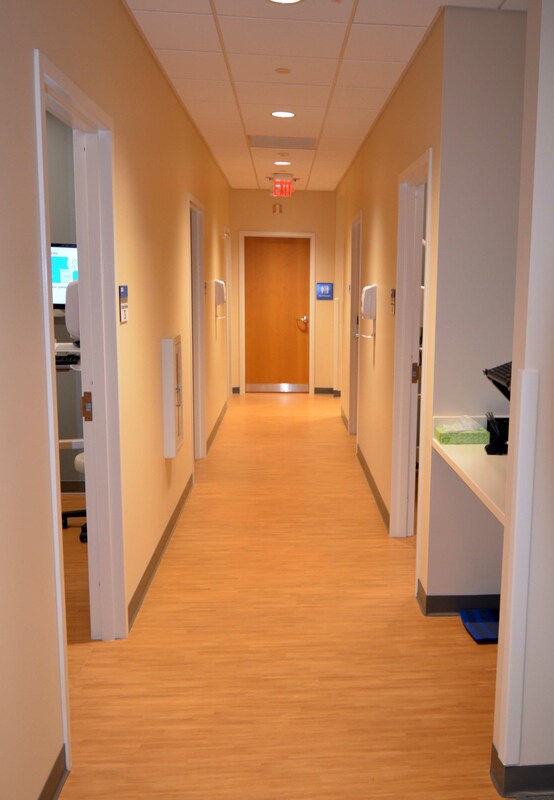 The challenges of completing a comprehensive renovation on the main floor of a medical office building are numerous. When the area under construction contains a sleep center above it, a daycare center below and a cardiology suite next door, those challenges multiply exponentially. 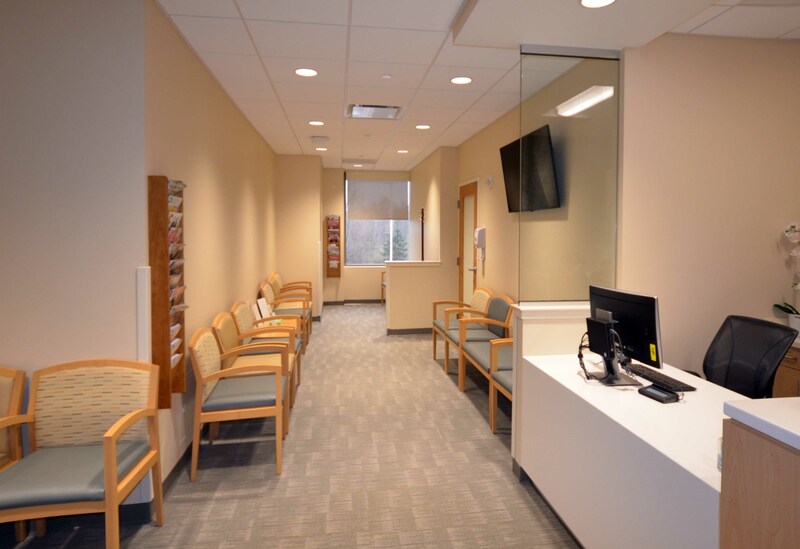 So was the case when Milestone was brought on to convert a former office space into a new state-of-the-art dermatology clinic for the Yale School of Medicine. 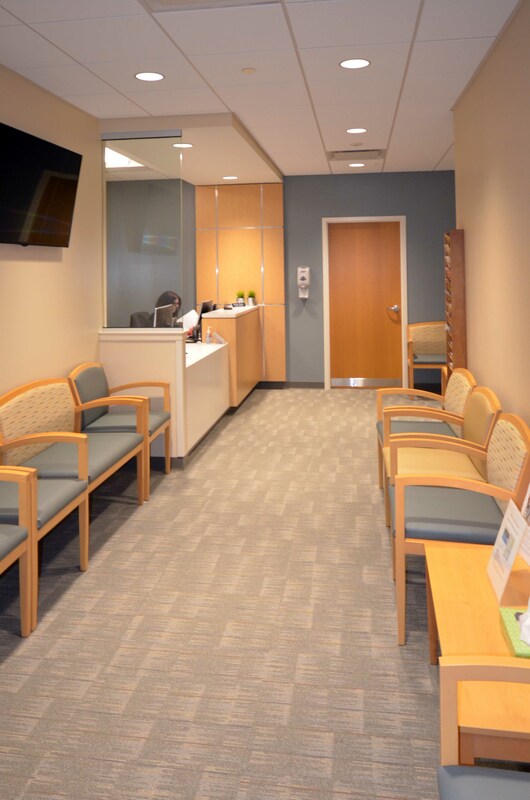 Located in Middlebury, CT this 3,000 sq ft space required extra special care to be non-disruptive not only to the patients coming and going from the building but also to the surrounding spaces that were active 24 hours a day at different intervals. 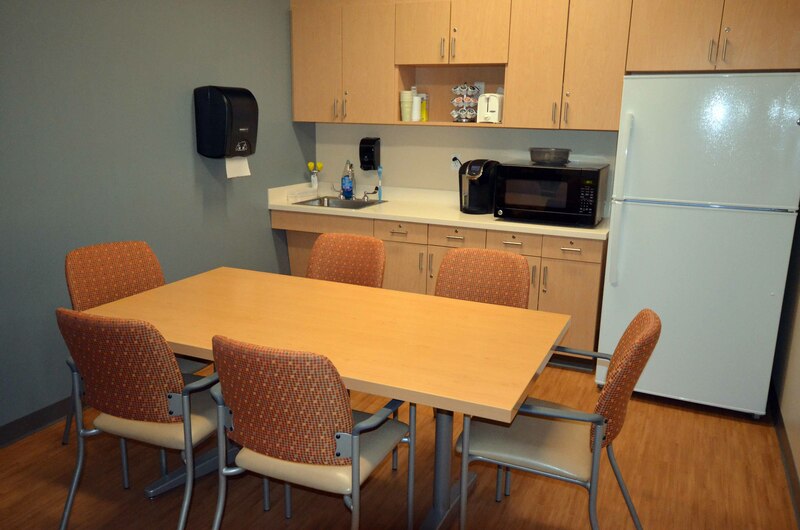 In order minimize our impact, Milestone’s crew worked Saturdays and Sundays, and adjusted our work hours so as not to disurb the testing and studies being done above and next door. 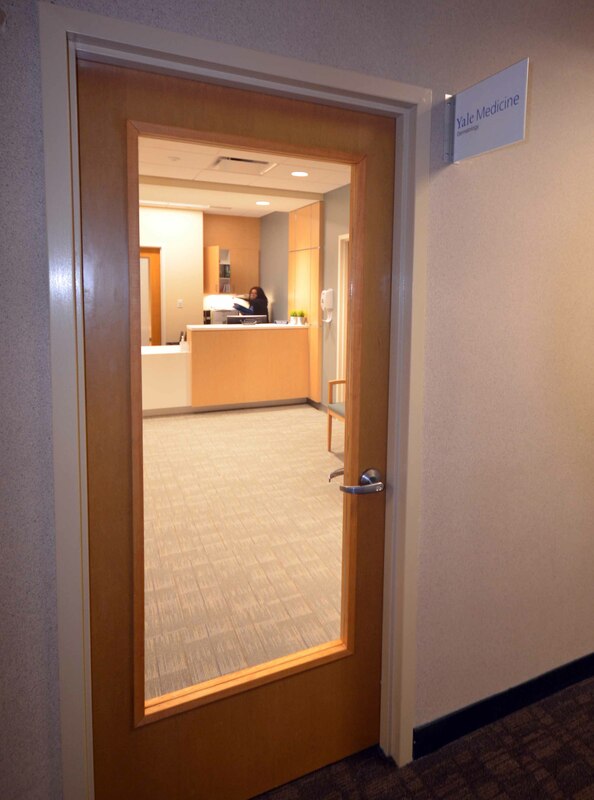 Special care was also taken to remove all debris with minimal dust and a dedicated side entry served as a portal to get materials in and out of the space without having to utilize the main entrance. 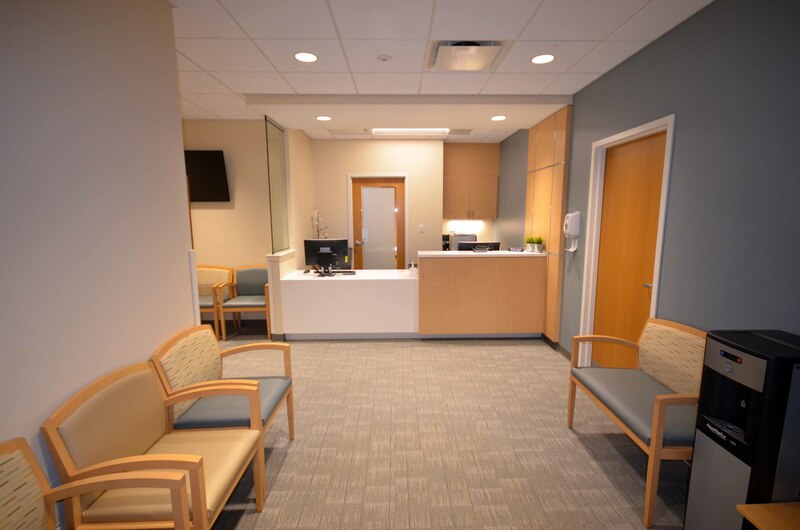 Completed within the allotted four month time frame, the new space includes a light-filled waiting room; surgical suites & exam rooms with specialty lighting & equipment; a soiled utility room; a medical equipment autoclave; offices & lockers; and a kitchen break room for staff. 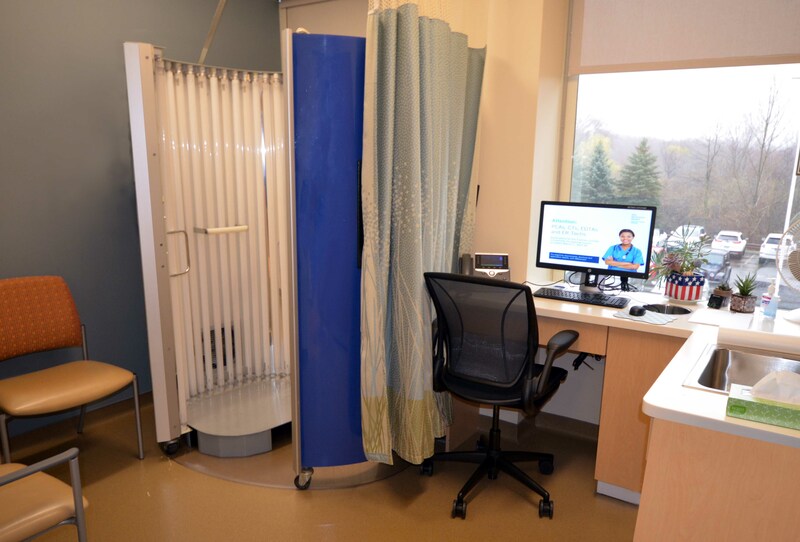 The end result is a space that supports Yale-Dermatology’s patient-centered care, contemporary therapies and gives one of the largest and most diverse dermatology practices on the east coast the ability to bring their expertise to Middlebury. Rock solid, every step of the way.